If you would like to improve Google Local or organic search rankings please email me at jwojdylo@gmail.com. I have several packages that can help any business get more customers through search. The July 2014 Google Local search algorithm update continues to puzzle many local business owners. Prior to July 24th, 2014 it was often the case that long tail “categories” or keyword phrases that were used on a Google Local page would show up on the front page of search. These long tail keyword phrases would help many small business owners get traffic to a website. Unfortunately, this is no long the case as most are finding that Google Map Maker local categories are not showing up in Google search the way they once were. Whenever a large group of people finds out there are ways to make money quickly it is going to cause problems. Remember that whole subprime mortgage crisis? Does the Dot Com Bubble come to mind? Google knows their reputation is on the line so they do not want search results to be unacceptable. Some business owners and others would go to Google Map Maker and they would fill out all 30 categories yet they would have a very thin or weak website. The business would have 30 long tail categories and only three total pages on their website. Time and again I have stated the importance of content. If you are a business that has 30 different areas of expertise how is it possible that your website only has three total pages with less than 1000 words? Content will always be king in the eyes of Google. Rather than creating a bunch of categories on Google Map Maker it would be a better choice to create quality content on websites you own. If many users are creating the content there is a good chance this content will start to get thin and worsen over time. There is a reason websites like InfoBarrel, eZine Articles, HubPages, Squidoo, Amazines, Gather and Article Share have seen a drop in organic search rankings. To have a truly amazing user generated website it would take a staff of dozens to read and edit the content. This type of project often never gets off the ground because it is too expensive and users are not going to submit content to a website that takes 30 days to finally publish that content. I have always said that time is the best way to determine the value of anything in life. If users are not willing to take the time to have an article published they are probably just trying to game the system anyway. Wikipedia and Amazon were adamant about quality content but very few user generated websites are. 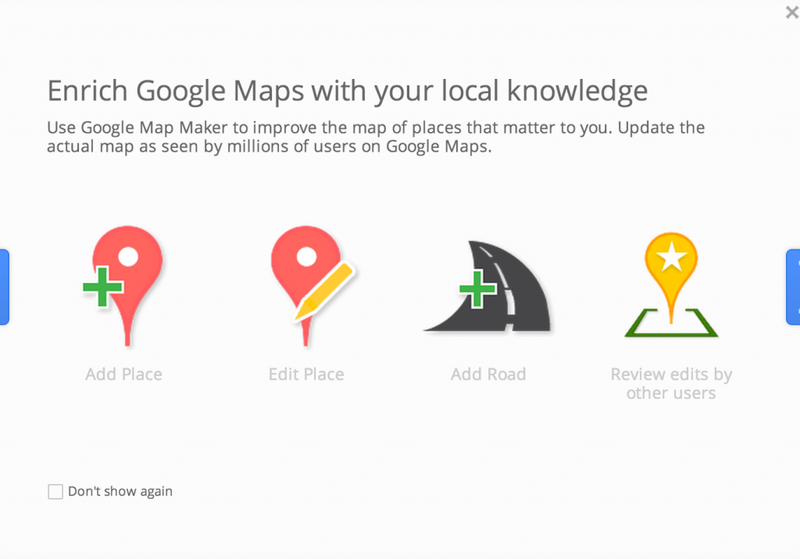 I know that content submitted to Google Map Maker is looked over by a team at Google. That said, can this team truly determine if a Robbinsville injury lawyer is truly an expert in slip and fall cases. I would be willing to bet that most Google employees could not find Robbinsville, NC on a map and if they could, they definitely wouldn’t know how to get there. Therein lies the problem, while Google is hoping to get “local experts” to submit user generated content, how do they know they can trust these users? This is one of the things they hoped to do with Google Plus but as we all know, Google Plus never really took off. Now that the July 2014 Local search adjustment has been made it will be interesting to see if the long tail local search results return. In my opinion, they will not. The long tail search results will benefit companies that have a great website. All of my clients have noticed a jump in traffic since the Local Algorithm update because they are getting long tail keyword searches that were once drown out by the “categories” that were created on Google Map Maker. I do not have a magic ball to tell you what will happen with Google Local search in the near future. What I will tell you is that content is extremely important to Google. If you have a business website that publishes great content on a weekly and, hopefully, daily basis, you should have no concerns when it comes to search traffic. If you are looking to hire a content writer or improve your SEO do not hesitate to reach out to me. I have created a team that can help your business rank for both long tail and short tail keywords which will ultimately help your business make more money. Reach out to me at jwojdylo@gmail.com so we can start the business relationship.